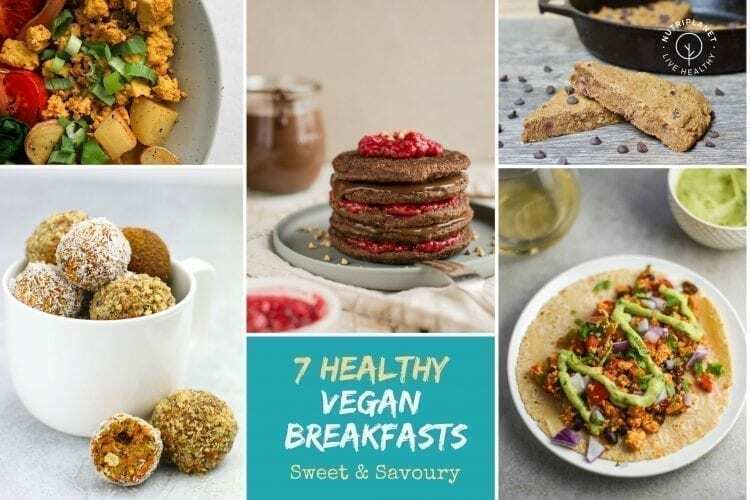 In case you’re tired of eating the same thing every morning, here are great healthy vegan breakfast recipes for you to try out. 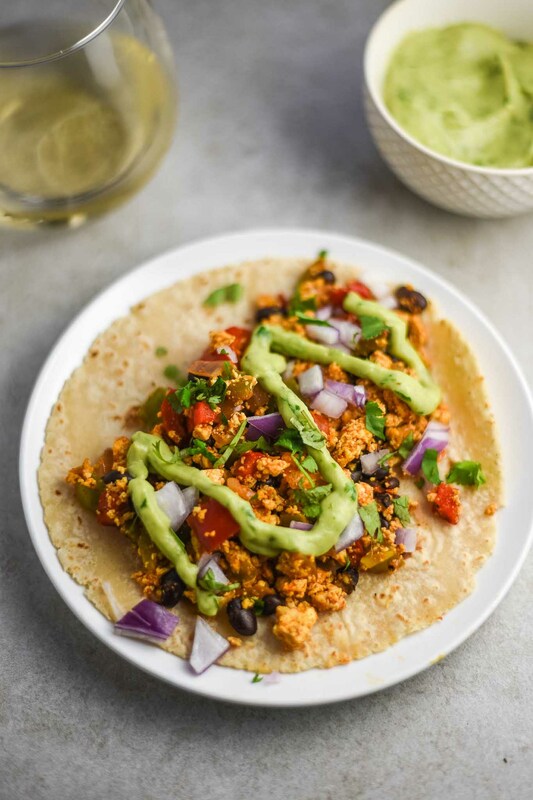 You’ll find both sweet and savoury breakfast ideas, from good old overnight oats and pancakes to tofu scramble and breakfast burritos or tacos. 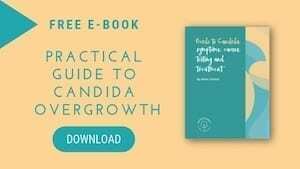 It would be a good idea to start your day with healthy savoury breakfast, if you’re struggling with stable blood sugar and/or Candida overgrowth. Low glycemic vegan breakfasts won’t cause blood sugar spikes allowing you to function at your best. In addition to the recipes below, you can also make super simple breakfast sandwiches, i.e. avocado toast or French toast. Furthermore, a breakfast hash with sweet potatoes or regular potatoes and cauliflower would also make a good start to your day. Add some almond butter or peanut butter for heartiness and you’re good to go! And finally, why not give chickpea flour a go – make an omelette or pancakes. I think no one would argue that tacos are an ultimate vegan comfort food. So, why not have them for breakfast! 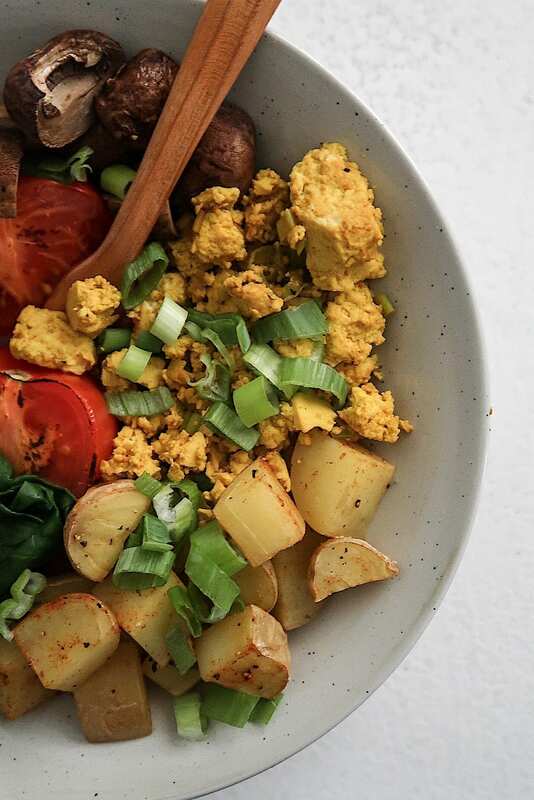 Besides, avocado and cilantro sauce sounds like a perfect touch to this great vegan breakfast recipe. 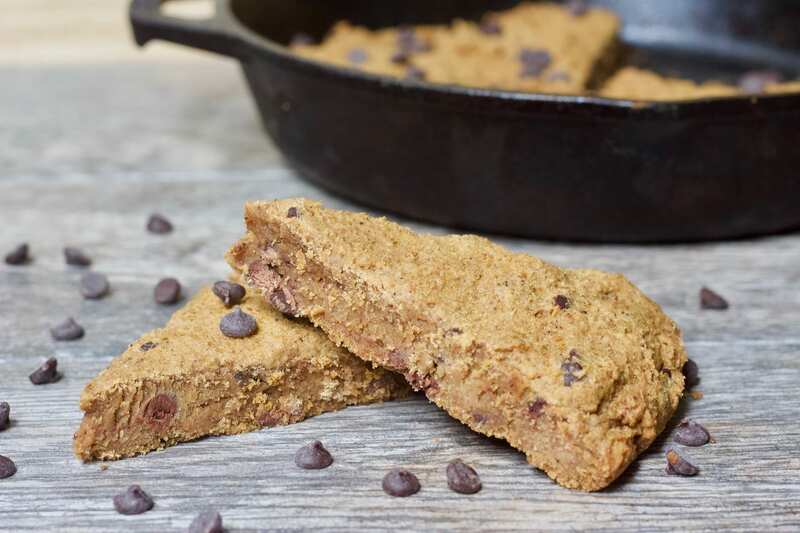 This recipe has it all – healthy fat, protein and above all deliciousness! Moreover, this oil-free savoury breakfast bowl is not only great for breakfast, but also as a satisfying meal for lunch and dinner. However, go easy on the potatoes if your blood sugar tends to fluctuate. 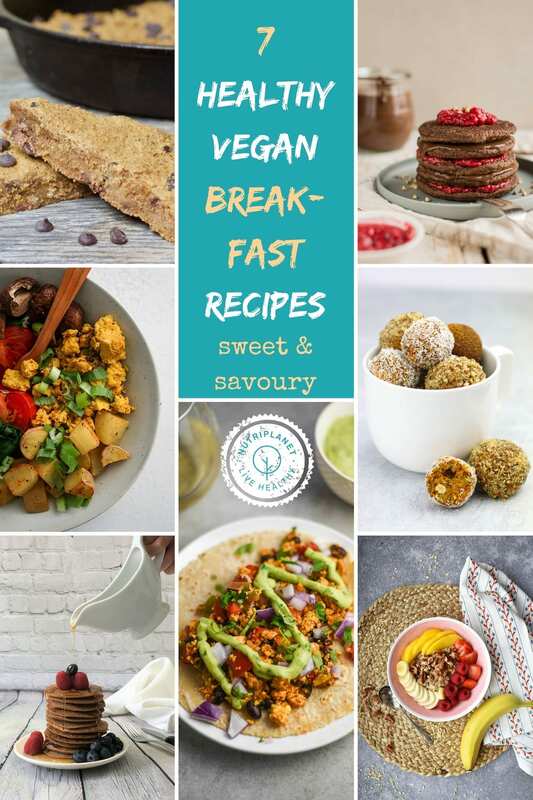 Under sweet healthy vegan breakfast recipes you’ll find my absolute favourite no starter sourdough pancakes, lentil pancakes, revolutionary carrot cake bites and pecan oatmeal. However, you don’t need to stop there! Chia pudding would be a perfectly easy vegan breakfast only requiring a bit of patience while the chia seeds are soaking. To make the process quicker, grind the seeds and store in a sealed container in fridge. Finally, add some fruits or berries and sprinkle on chopped nuts and seeds. 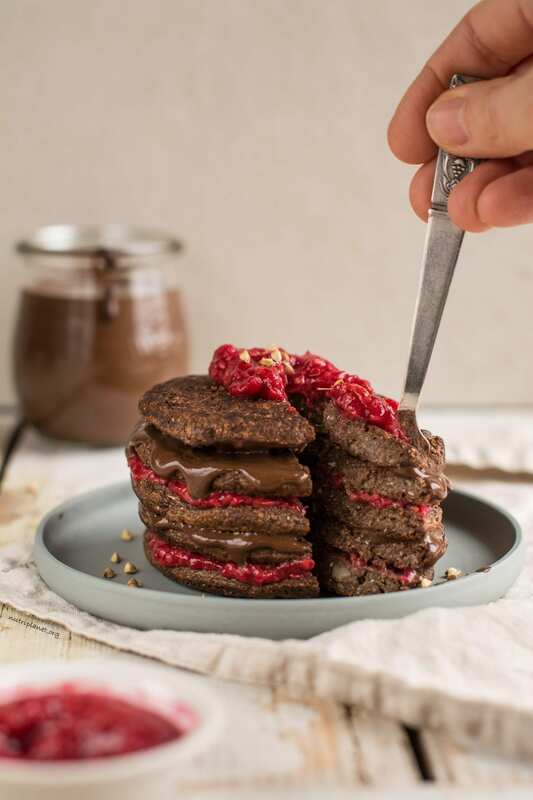 You’ll love this chocolaty recipe if you’re into vegan gluten-free pancakes made with sourdough. Besides being low-glycemic, dairy-free and egg-free, they are also light and fluffy and so easy to make. 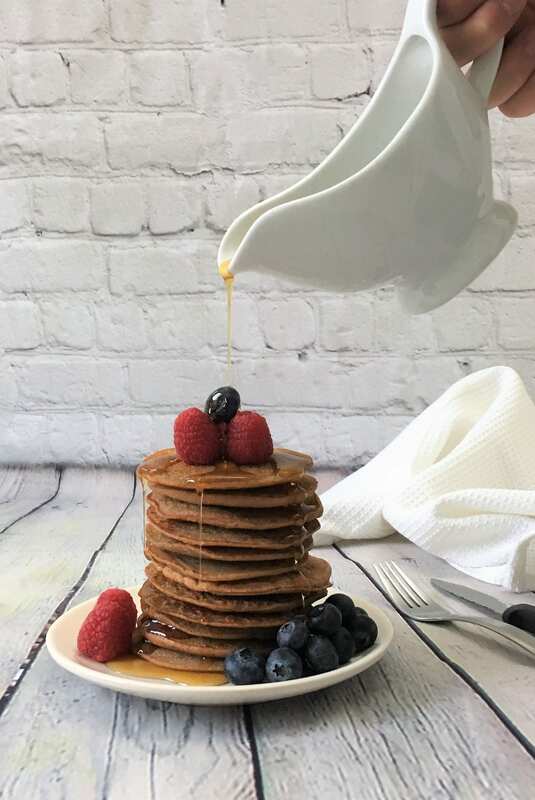 These gluten-free and dairy-free protein pancakes are a must try, if you’re looking for a delicious and healthy vegan breakfast ideas. 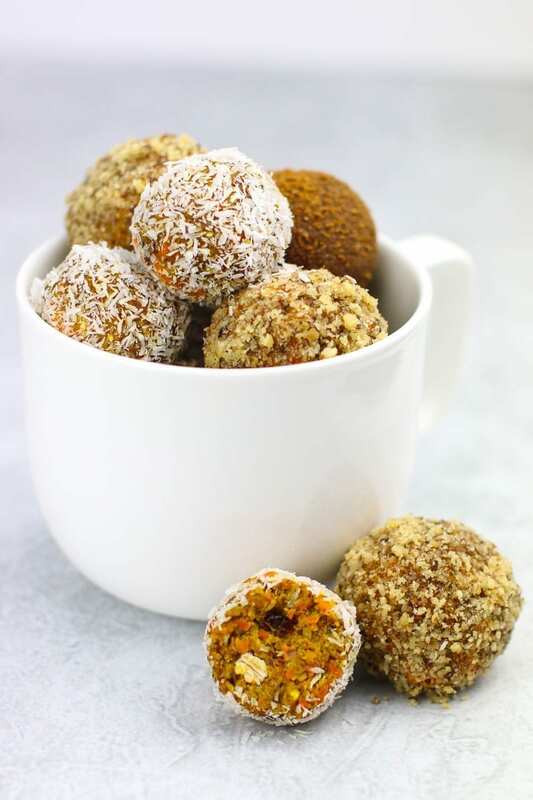 They’re made using wholesome ingredients and super simple methods! P.S. If you can’t have maple syrup and/or bananas, try this lentil pancake recipe instead. 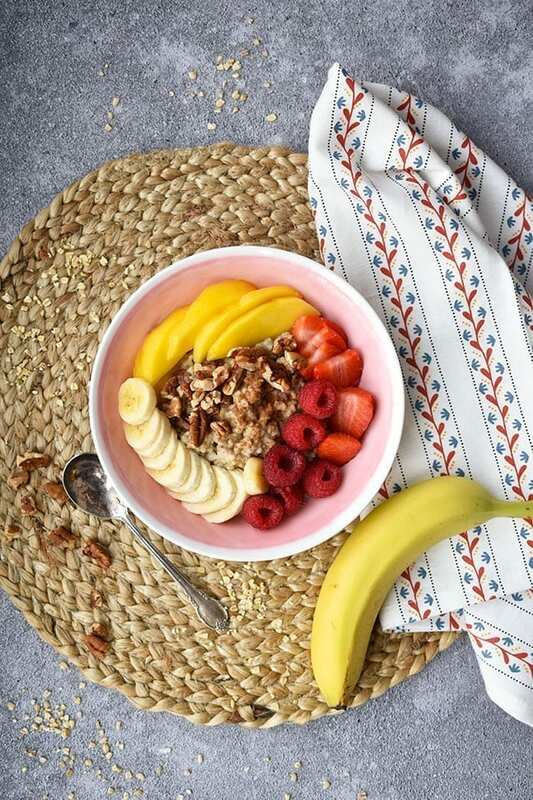 This breakfast is ideal if you’re a sweet-tooth and prefer to have a healthy dessert as your first meal of the day. And here’s another healthy vegan breakfast recipe for those longing to start the day with something sweet. What could be better than the heavenly combination of orange and chocolate! And finally, good old steel cut oats is a healthy vegan breakfast recipe that never fails us, right?! Top your oatmeal with any kind of fruits and/or berries for freshness and colour. And if you’re not on low-fat diet, feel free to add nuts and seeds or nut butters and even avocado to your bowl of deliciousness. I hope you enjoyed these 7 healthy vegan breakfast recipes and will come back for more! Let me know in comments which is your favourite breakfast idea (can be one of the above or a totally new recipe that you created yourself)! Furthermore, let me know if you’d like me to create some new vegan breakfast recipes! In the meantime, check out even more healthy vegan breakfast ideas: vegan pancakes, porridges, muffins, and brownies.